By how much? 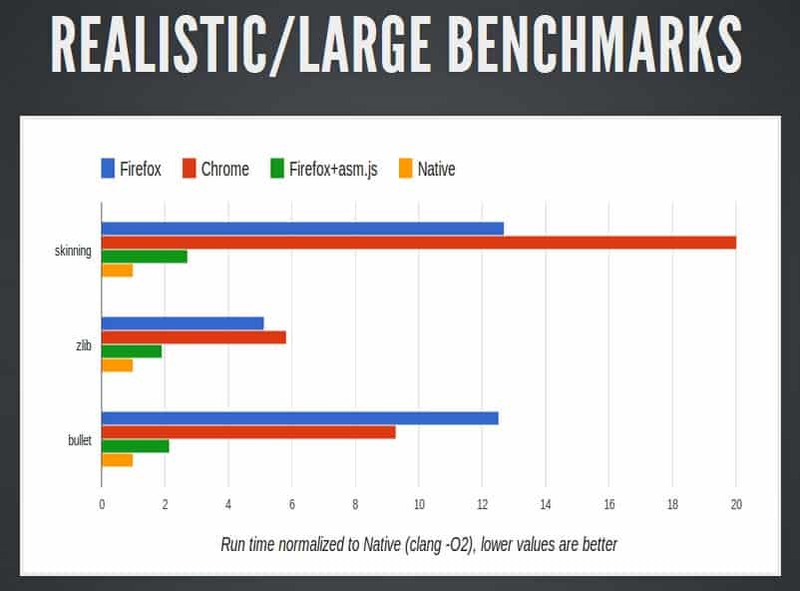 The engineers responsible for bringing OdinMonkey into Firefox - love that name by the way - say that performance will be about two times slower than the performance of C and C++ native code. You can check out the - technical - presentation here on Github. 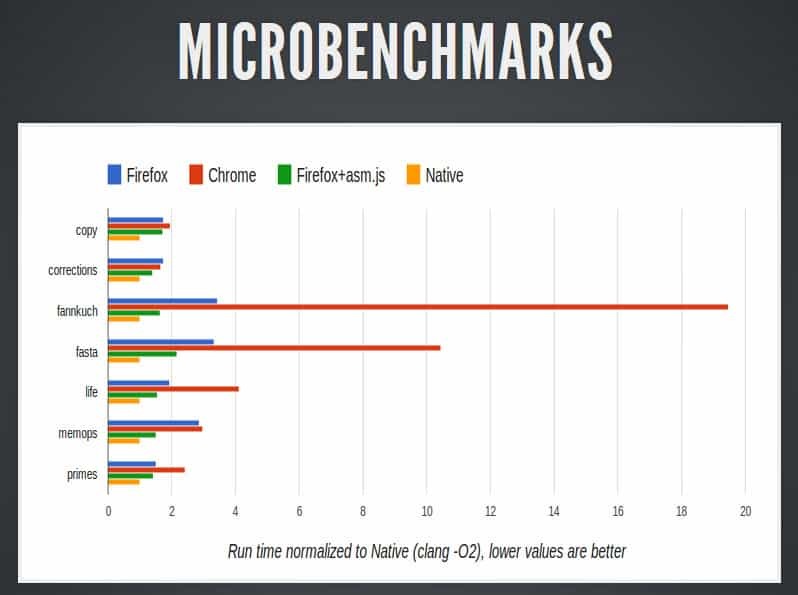 It includes the benchmark, some code examples and lots of information that should be interesting to developers. JS performance doesn’t matter when Mozilla’s Gecko can’t keep up to render it. And even after years of fault promises, Gecko is still in a sad state of development. Webkit and Trident is way ahead of Gecko in rendering performance. I can claim the exact opposites and buffle anyone who sees the comments. If you want to support your points you must prove them with valid arguments, not just theoritical thoughts.